In September 2017, Hurricane Maria hit Puerto Rico, causing mass flooding, destroying entire neighbourhoods and leaving the island's 3.4 million residents without electricity – which, seven months later, has yet to be restored to most of the island. The disaster has hit the staff of Jacoby's Tiki Bar in a very personal way: main man Sanchez has family over there. So in a show of support, Jacoby's will host a huge Charity Luau to benefit United for Puerto Rico. The event promises go go dancers, DJs, food by Hughes Barbecue, and $2 from every drink sold going to help the people of the ravaged US territory. United for Peurto Rico's mission is to "provide assistance to individuals and small businesses devastated by Hurricanes Irma and María, accelerating their recovery... to satisfy their needs of shelter, food and health to help rebuild their lives." 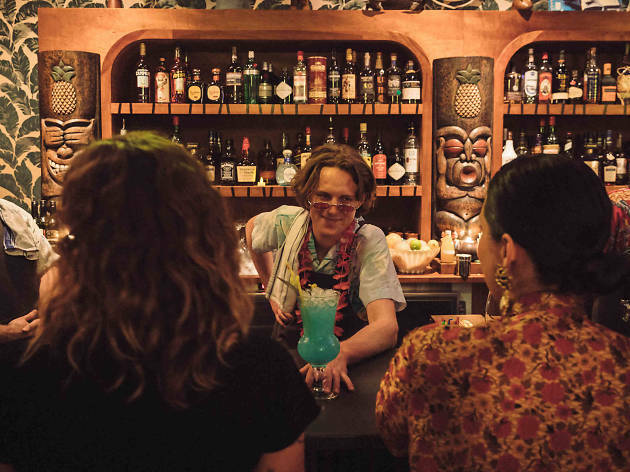 The fun kicks off at 1pm at Jacoby's in Enmore, which incidentally won Time Out's award for Bar of the Year at our 2018 Bar Awards in February. 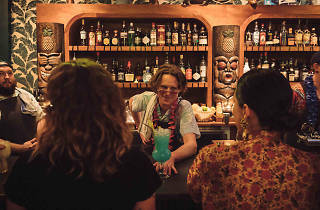 There's no cover charge and you don't have to book – just rock up (in your best Hawaiian attire if you like) – and have fun.